When the Small Business Administration lending partners come across an applicant who has ownership interests or assets inside a trust, the first question made by that lender is whether or not the trustee or the trust itself needs to be a borrower or a guarantor on that loan. The answer is that if the trust in any way benefits from the loan, then it should be classified as a borrower. 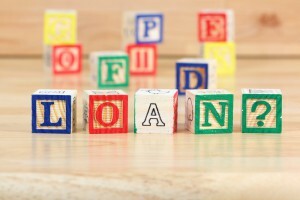 However, lenders need to also keep in mind that the answer could be impacted by the actual terms of the trust agreement in addition to any state or federal laws. A trust does not have to meet criteria ‘small’ under SBA regulations in order to qualify for a Small Business Administration loans. Beneficiaries of the trust are not considered for eligibility purposes and they are not also required to be guarantors of a Small Business Administration loan. If the trust owns 20% or more of the small business applicant, then that trust has to guarantee the loan and the trustee should sign the guarantee on behalf of the trust. Lenders may also need to be aware that certain state laws and the terms of some trust agreements may require that the assets inside the trust can be held in title by the trustee individually rather than in the name of the trust. These issues can be complicated and require the insight of a knowledgeable attorney when you go through the process of putting together your trust itself. Do not hesitate to reach out to a New Jersey estate planning attorney sooner rather than later in order to protect your interests and to understand how these issues could potentially impact this.